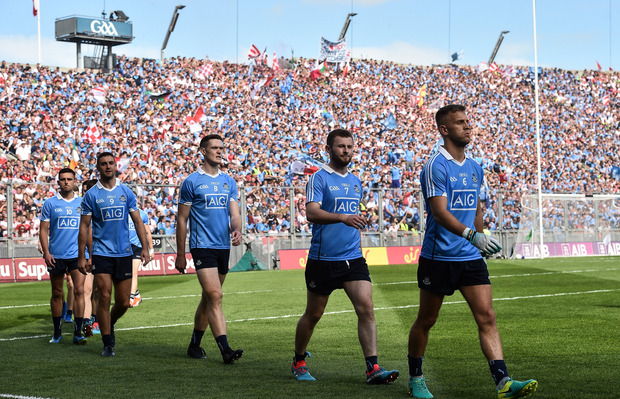 ALAN Brogan reckons it would be “unfair” for Dublin to be forced out of the county to play their designated ‘home’ game in this year’s All-Ireland quarter-final group stages. A motion to GAA congress from the Donegal county board will stop any county nominating Croke Park as their home venue in the 'Super 8s'. If, as is widely expected, Dublin win a ninth Leinster SFC title in-a-row, that match will be against either the beaten Munster finalists or a team that came through the qualifiers on the weekend of July 13/14. "The reason Dublin use Croke Park is because of the crowds, not because of the facilities," said Brogan, who started for Dublin on the last occasion they played a Championship match in Parnell Park in 2004, when they faced London in round one of the qualifiers. "Dublin would be more than happy to use Parnell Park if it could house the crowd. "And that’s what it’s about. It’s about getting kids into matches. "I’m sure there’s more to it than that but I don’t think that motion is going to wash at any level,” he added. "To ask them to play their home game outside Dublin is a bit much." Independent.ie Sportsdesk Waterford stormed back from six points down to stun Clare in Dungarvan with the help of two DJ Melia goals, but it wasn't enough to seal a place in the Phase 1 final as Clare will meet Tipperary in a fortnight. Independent.ie Sportsdesk Tipperary did enough on home turf to qualify for the phase one final of the Munster campaign.